This 186-space community for older persons is located in a prime San Jose residential area near the city of Campbell. Within easy driving distance are numerous shopping centers, including the Pruneyard, which offers fine restaurants, stores and a multiplex movie theater. 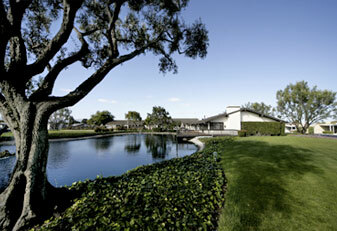 Opened in 1973, the clubhouse resembles a California ranch house. Along with the beautifully landscaped grounds, the clubhouse features a large main hall with adjoining kitchen, card room, billiard room and a spacious living room complete with a nicely stocked library. Swimming pool, spa, BBQ and shuffleboard courts provide the residents with a variety of recreational activities. The active residents’ social organization sponsors a number of activities, including dinner dances, potluck dinners, breakfasts, exercise classes, card tournaments, and, of course, solving the worlds problems while sipping a cup of coffee. The residents take a deep pride in their homes and home sites as evidenced by their well-maintained landscaping and homes. Quail Hollow is an example of luxury mobilehome living at its best.